How retrofit an Operator Guard (also known as a splash shield) onto a Simpro Dumpmaster bin lifter. A polycarbonate panel called an Operator Guard is available for the Dumpmaster, which protects the operator from glass fragments or chemical splashes while tipping bins. The Operator Guard is usually fitted in the factory, however it can be retrofitted as an after-sale safety upgrade. 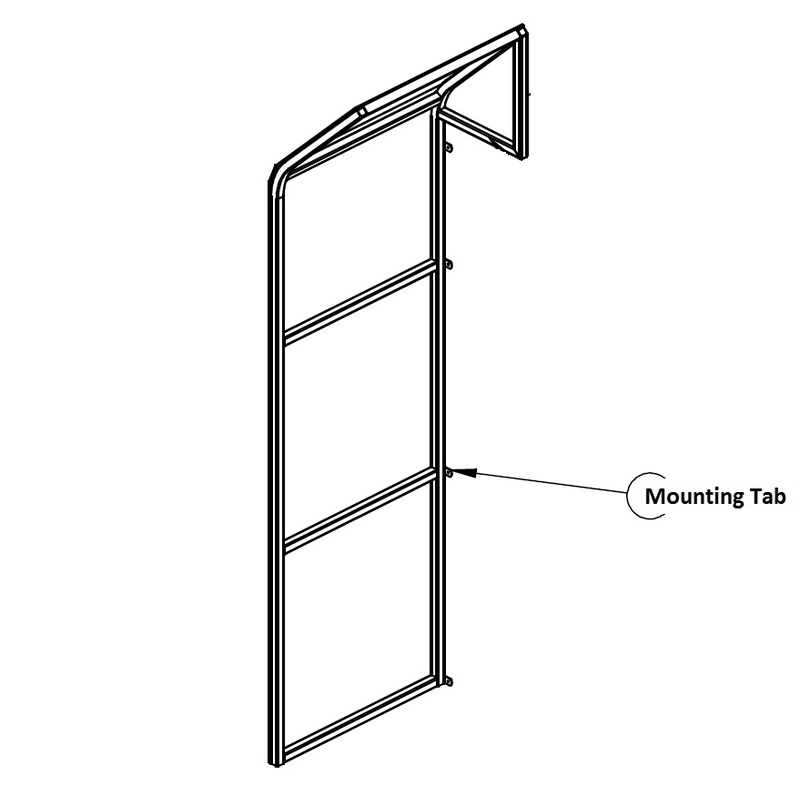 Position the Operator Guard panel against the Dumpmaster frame, as shown in the image below. Using an electric drill, drive Tek® screws through the mounting tabs into the Dumpmaster frame. Check that all the screws are tight and the panel is securely fastened. The Operator Guard is now correctly installed, and the Dumpmaster can be returned to service.